I made these figures (when I say 'made' I mean 'flung some primitives together') to bulk out some wargaming units for me to experiment with some wargaming rules. 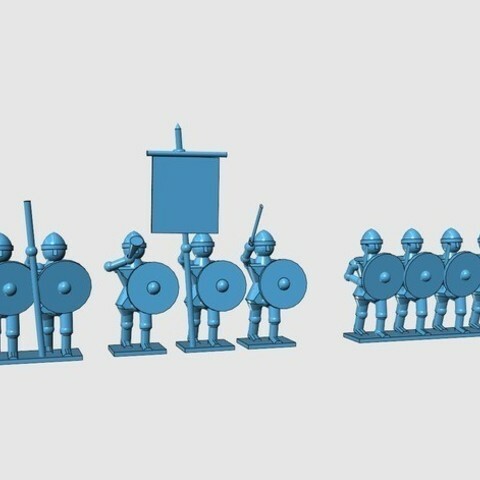 They were meant to vaguely represent saxon regulars, but actually could be any sword and shield / spear and shield regular troops from multiple periods. I didn't intend publishing them because of their 'basicness' but then thought they might be useful for anyone trying out a different wargaming period who needed to throw some troops on the table.